SEAT Heart! Love our low fares this Valentine Month! Grab this opportunity now to book your flights. 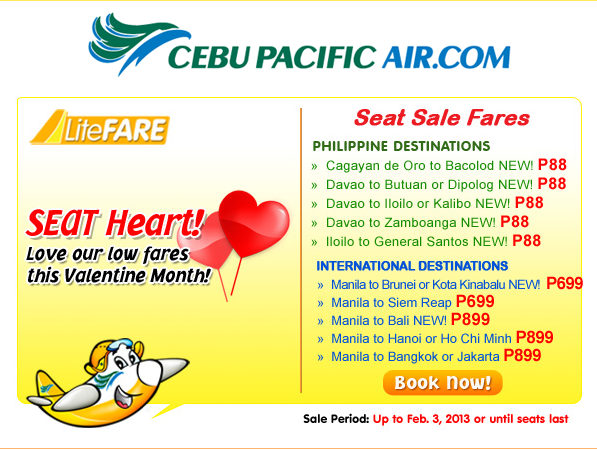 LOVE the SEAT SALE offered by Cebu Pacific! Be the first to know with us!!! Pleas take note of the SALE period: Today until February 3, 2013.